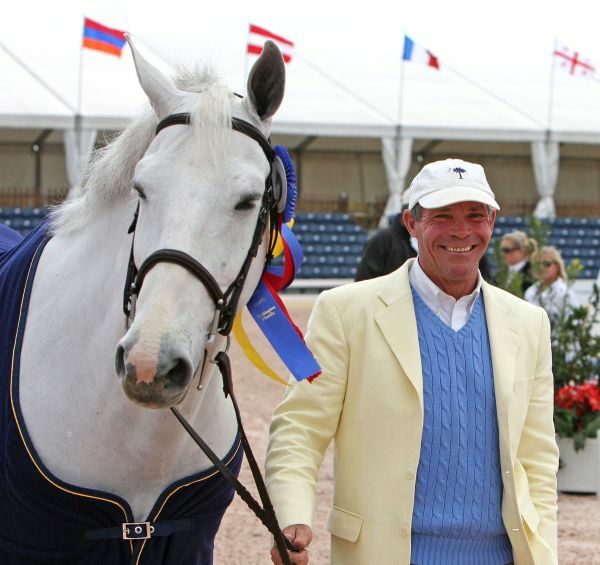 Wellington, FL – January 30, 2013 – Legendary horseman R. Bruce Duchossois will be honored with the Equestrian Aid Foundation (EAF) Luminary Award on Friday, February 1, at “Who Reins Supreme?,” a fundraising event for the EAF at the Jim Brandon Equestrian Center. Duchossois, an Executive Board member of the Equestrian Aid Foundation, is a Trustee of the USET Foundation, Co-Chair of the Development Committee and Chairman of the Nominating Committee. In November, he was named to the Board of Directors of the National Horse Show Association. He is also a member of the USHJA and serves as Co-Chair of the Owners Task Force, and is a member of the Amateurs Committee and the Zone 4 Committee. He’s a Board member of The Aiken Training Track and a lifetime member of the USEF, the AQHA and the U.S. Eventing Association. Duchossois, from Aiken, SC, is one of the country’s leading exhibitors in the Adult Amateur Hunter division and has been deeply involved in numerous aspects of equestrian sports, as has his family. Duchossois’ mother competed on Saddlebreds, and his father owned Arlington Park near Chicago, IL. The honor will be bestowed at Friday evening’s fundraising event for the EAF, “Who Reins Supreme?”, as teams of world-class equestrians from dressage, show jumping, hunter and polo tackle a custom reining test of speedy spins and sliding stops. The teams win bragging rights as to “Who Reins Supreme?” across multiple equestrian disciplines. The 6 p.m. event also features special guest Tom McCutcheon, World Equestrian Games’ reining double gold medalist, as well as a Taste of Charity showcase, auction items and live music. The evening begins with cocktails at 6 p.m., followed by the competition and Taste of Charity at 7:30 p.m., with music starting at 9 p.m.